Passing through 11 different live houses, PHASE#03 激情は獰猛～GEKIJOU WA DOUMOU～ has come to an end on TSUTAYA O-EAST. A concert for members of HERESY only who were tightened inside the little space to witness the end of the tour. With LIMP BIZKIT and PAPA ROACH as background music before the night started it was hard not to get excited and the instant the lights went out the scream of the audience made it clear: The night would be hot. Even limited in space and equipment, the GazettE arranged a way to bring all their extravagance to the last show. The lasers, always present on every NINTH album tour, are back and the extra feel they bring to the whole performance is insane. The fancy GazettE was back and with Falling starting, but it was with the shouts of RUKI (Vo.) "This soul can never die" that the night really began. Once again, the audience showed us the famous scene that comes to mind when you think about the GazettE concerts: Headbang! URUHA (Gt.) decided to get closer of the crowd and headed to the front of the stage and with that introduction, the scratchy sound of his guitar, the audience's shout of excitement made it clear how much GUSH is adored, making the whole place shake, it was difficult for band members to hide their excitement with the fans. AOI (Gt.) on the other hand thought that it wasn't enough and insisted on provoking the audience to show a little more energy. And why not show it with such classical music in the band's career? VORTEX was received with screams of joy from the audience who, without fear, pressed themselves in front of the stage wanting a piece of URUHA, that came as close as possible to the crazy excited fans. An interesting point is how the GazettE manages to change the mood inside the live house. At the same time they have the audience in their hands, jumping and singing in GABRIEL ON THE GALLOWS or going crazy with 裏切る舌 (Uragiru Bero), they manage to immerse everyone in an obscure story about humiliation, death, and curse with BABYLON'S TABOO, and simply throwing everything upside down, RUKI takes on a more delicate and subtle side, singing about sorrow and loneliness with その声は脆く(Sono Koe Wa Moroku). The variation comes with a line that is easy to the fans to follow, so they don't get lost between one song and another, like guiding and showing everyone the various sonorities that the band can assume. And why not throw everything in a heavy, emotionless atmosphere? THE MORTAL comes to imprison RUKI and challenges him to cross the prison of red lasers that contains him in front of the public, while REITA (Ba.) slaps his bass so strongly throughout the performance that makes everyone's heart beat harder. Wondering if his entire audience was having fun, RUKI commented on how hot it was at the live house. But he didn't expect how the temperature would rise when HEADACHE MAN brought all the essence of the GazettE audience to the surface. Headbang, hairs flipping everywhere, and with the RUKI countdown of "3 2 ... 3 2 1 Go! ", the crowd of people started the mosh everywhere, going from one side to the other, jumping and having all the fun they could. With an intense sequence like TWO OF A KIND, UGLY and ABHOR GOD it's hard for any fan to control themselves. Talking about ABHOR GOD, one of our favorites part of the concert brings us priceless moments. AOI, REITA, and URUHA engaged in the back vocal, which is an extra gift in this song, and the fun dance skills of RUKI, that went from one side of the stage to the other, pointing and interacting with the public who was more than happy to get his attention. All this was followed by the incessant, and strong, drum work from KAI, who didn't hold back during the entire performance, headbanging, screaming and showing off all his ability with a limited drum set. Returning to the stage, after a well-deserved break, was time for the real party. RUKI began by emphasizing that they will go on a World Tour next month, and he intends to return even better and wilder to show us a much more intense performance. And announcing that this was the last show of the year Heisei* he asked the public to turn that night into a rebellion. [DIS], who take us back there in 2003, could not come at a better time. With the whole audience screaming “「平成」時代事態変えろ”("Heisei" Jidai Jitai Kaero), and commanding the whole show was difficult for the GazettE to contain their happiness as they let the audience take control of the night. Even though this song was released years ago, after all, it is from the beginning of the band's career, they can present it in a way that makes every fan want this song to be included more often on their setlist. And that's a good summary of what the GazettE is, a band that manages to reinvent itself with each new release, whether it's retrieving older songs or using it as a reference to create new songs, such as in the NINTH album. Speaking of NINTH, the album tour got a final. the GazettE LIVE TOUR18-19 THE NINTH TOUR FINAL 「第九」takes place on September 23rd at YOKOHAMA ARENA. HERESY's ticket lottery is already open, regular sales start on August 24th. For curious people, did you notice the song used on their trailer? 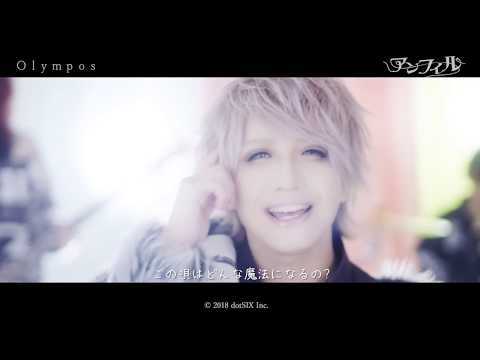 The video uses the famous Bethoveen's ninth symphony, which brings us back to the fact that it is the ninth album of the band, besides the name that the final live receives, 第九 (daikyuu), means ninth. Also, you can check out the GazettE on their World Tour, PHASE # 04 -99.999-! Shows in Shanghai and Taipei have been announced, and all the information you can find in our Ultimate Ticket Guide! the GazettE is available on SPOTIFY and APPLE MUSIC. Also NINTH is now available on streaming platforms in different countries, with that the GazettE have their music since TOXIC till NINTH available online. Let's remember that streaming platforms (like SPOTIFY) you have to be a paid member to have access to the full content of music. *In Japan there is a count of time called "era" that changes every time a new emperor rises. Japan is currently in the Heisei era, in the year 31 of the Heisei era, but on April 30 the resignation of the current Emperor is scheduled and it is excepted that Japan will start a new era. The song [DIS] refers to turning the Heisei era into a revolution, and translating the part that fans sing during the song on the show, would be "Let's change the situation of the Heisei generation! ", which is a very well refer to the words of RUKI before the song start. Passando por 11 casas de shows diferentes, a PHASE#03 激情は獰猛～GEKIJOU WA DOUMOU～ chegou ao seu fim no TSUTAYA O-EAST. Um show fechado apenas para membros do HERESY, que se apertavam dentro do pouco espaço para presenciarem o final da turnê. Com LIMP BIZKIT e PAPA ROACH como background antes da noite começar era difícil não ficar ansioso e, no instante em que as luzes se apagaram, o grito do público deixou claro: a noite seria quente. Mesmo limitado em espaço e equipamento, o the GazettE arranjou uma forma de trazer toda sua extravagância para o último show. Os lasers, sempre presentes em toda turnê do álbum NINTH, estavam de volta e a sensação extra que eles trazem para toda a apresentação é absurda. O the GazettE extravaganza estava de volta e com uma perfeita Falling de início, mas foi com os gritos de RUKI (Vo.) “This soul can never die” que a noite realmente começou. Mais uma vez o público nos mostrava a tão famosa cena pelo qual os shows do the GazettE é conhecido: Headbang! URUHA (Gt.) decidiu ir mais para frente do palco e, com aquela introdução, o som arranhado da guitarra, o grito de empolgação da plateia que deixava claro o quanto GUSH é adorada, fazendo todo o local tremer, era difícil para os integrantes da banda esconderem sua empolgação junto dos fãs. AOI (Gt. ), por outro lado não achava o bastante e insistia em provocar o público para que ele mostrasse um pouco mais do que podia fazer. E porque não mostrar isso com uma música clássica no repertório da banda? VORTEX arrancou gritos de surpresa do público que, sem medo, se apertava na frente do palco querendo um pedaço de URUHA que chegava o mais perto possível da multidão de fãs empolgados. Um ponto interessante é como o the GazettE consegue mudar muito bem o clima dentro da casa de show. No mesmo instante em que eles têm o público em suas mãos pulando e cantando em GABRIEL ON THE GALLOWS ou indo à loucura com 裏切る舌 (Uragiru Bero), eles conseguem imergir todos em uma história obscura sobre humilhação, morte e maldição com BABYLON’S TABOO e, simplesmente jogando tudo de ponta cabeça, RUKI assume um lado mais delicado e sutil, abordando a tristeza e solidão com その声は脆く(Sono Koe Wa Moroku). A variação vem sem deixar que o público se perca entre uma música e outra, guiando todos através das diversas sonoridades que a banda pode assumir. E por que não jogar tudo num clima pesado e sem emoções? THE MORTAL vem pra encarcerar RUKI e desafiá-lo a cruzar a prisão que o contém em frente ao público, enquanto REITA (Ba.) traz o slap forte em seu baixo durante toda a performance, fazendo o coração de todos bater mais forte. Questionando se todo seu público estava se divertindo, RUKI comentou como estava quente na casa de show. Mal ele sabia como a temperatura iria subir quando HEADACHE MAN trouxe toda a essência do público do the GazettE à tona. Headbang, cabelos voando, e com a contagem regressiva de RUKI “3 2... 3 2 1 go!”, a multidão de pessoas começaram os mosh que iam de um lado para o outro. Com uma sequência de TWO OF A KIND, UGLY e ABHOR GOD é difícil qualquer fã se segurar. ABHOR GOD, uma das nossas favoritas, traz momentos impagáveis. AOI, REITA e URUHA empenhados no back vocal da música, o que é um presente extra nessa música, além das habilidades de dança de RUKI, que ia de um lado para o outro do palco apontando e interagindo com todo público. Tudo isso regado a bateria incessante de KAI, que não se mostrava nem um pouco cansado durante toda a performance. Voltando ao palco após uma merecida pausa era hora da real festa, RUKI começou ressaltando que eles iriam para o exterior no próximo mês e que ele pretendia voltar ainda melhor para apresentar performances ainda mais intensas. E anunciando que aquele era o último show do ano Heisei* ele pediu que o público transformasse aquela noite numa rebelião. [DIS], que nos joga lá em 2003, não poderia vir em melhor hora. 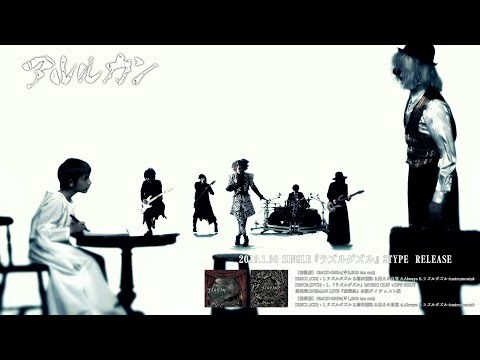 Com todo o público cantando “「平成」時代事態変えろ”( "Heisei" Jidai Jitai Kaero ) e comandando todo o show era difícil para todo o the GazettE se conter. Mesmo tendo anos, afinal a música é do começo de carreira da banda, eles conseguem apresentar ela de uma forma atual que faz com que todo fã queira que essa música esteja presente mais vezes durante os shows. 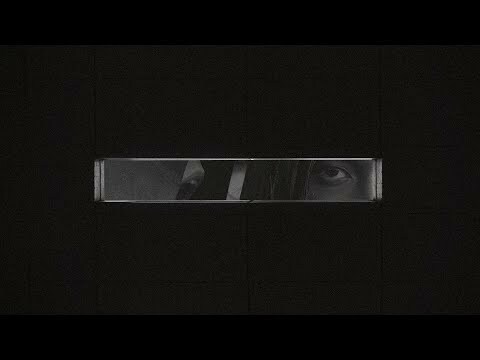 E esse é um bom resumo do que é o the GazettE, uma banda que consegue se reinventar a cada novo lançamento, seja resgatando músicas mais antigas ou as usando como referência para criar novas músicas, como é o álbum NINTH. Falando em NINTH, a turnê do álbum ganhou seu encerramento. the GazettE LIVE TOUR18-19 THE NINTH TOUR FINAL 「第九」 acontece no dia 23 de Setembro no YOKOHAMA ARENA. A loteria de ingressos para integrantes do HERESY já está aberta, as vendas regulares começam no dia 24 de Agosto. 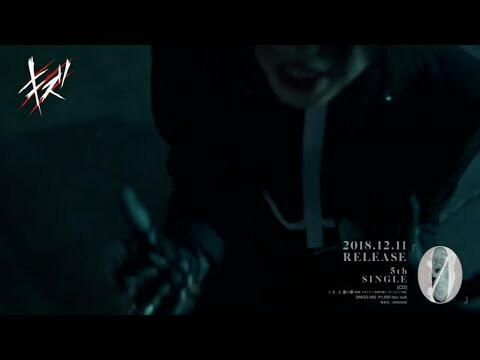 Uma curiosidade é que o trailer de anúncio traz a nona sinfonia de Beethoven, o que nos remete ao fato de que é o nono álbum da banda, além disse o nome que o show final recebe, 第九 (daikyuu), significa nono. Além disso você pode conferir o the GazettE em sua World Tour, PHASE #04 -99.999- ! Shows em Shanghai e Taipei foram adicionados, e todas as informações vocês conferem no nosso Ultimate Ticket Guide! the GazettE esta disponível no SPOTIFY e APPLE MUSIC. Vale ressaltar que o album NINTH foi adicionado as plataformas de streaming em diversos países, com isso o the GazettE tem disponivel as músicas do album TOXIC em diante. Lembrando em algumas plataformas de streaming (como SPOTIFY) é necessário ser membro pago para ter acesso a todo conteúdo. *No Japão existe uma contagem de tempo por eras, a cada ascensão de um novo imperador, o nome da “era” é trocado. Atualmente o Japão está na era Heisei, no caso no ano 31 da era Heisei, entretanto no dia 30 de Abril está programada a renuncia do atual Imperador e com isso se espera que o Japão inicie uma nova era. A música [DIS] se refere a transformar a era Heisei numa revolução, e traduzindo a parte que os fãs cantam durante a música no show, seria “Vamos mudar a situação da era Heisei!”, o que se refere muito bem as palavras de RUKI antes da música.